Heacock, Jones Lewnes record hat-tricks in Bayhawks victory. 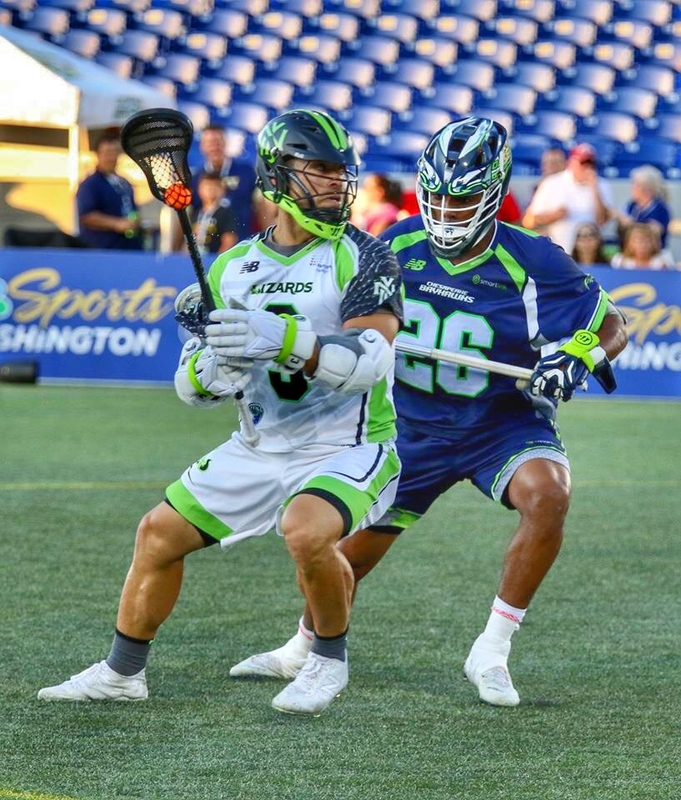 This past Saturday, July 7th, the Chesapeake Bayhawks (8-2) defeated the New York Lizards (5-6) 16-13 to move within a half game of first place Dallas. 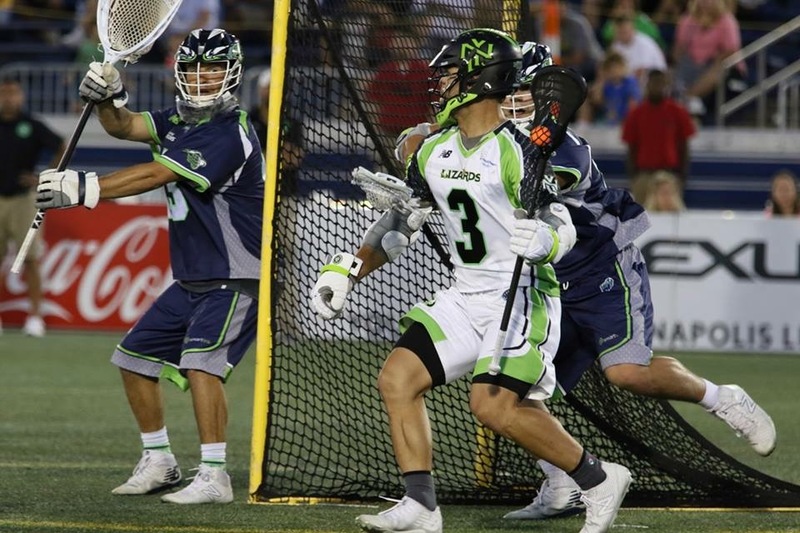 This was the second game in five days for the Bayhawks as they defeated Boston 15-8 on July 2. Colin Heacock, Myles Jones and Nathan Lewnes all recorded hat tricks in the win. Lewnes was filling in for Matt Danowski, who is in Israel for the World Field Lacrosse Championships. Lewnes has been with the team on and off for the last two seasons but when called on he has produced in a big way. “When Nate has time and space he shoots the ball as well as anyone in this league,” Bayhawks’ head coach Dave Cottle said. Jeremy Sieverts, who last played for the Bayhawks in 2010, had a goal and two assists. Sieverts spent the seasons in between with the Denver Outlaws and was re-acquired in a trade. Sieverts did well to gel quickly with his new teammates, while Lewnes, in his fourth game, is paying major dividends. Twelve goals were scored in the first quarter. 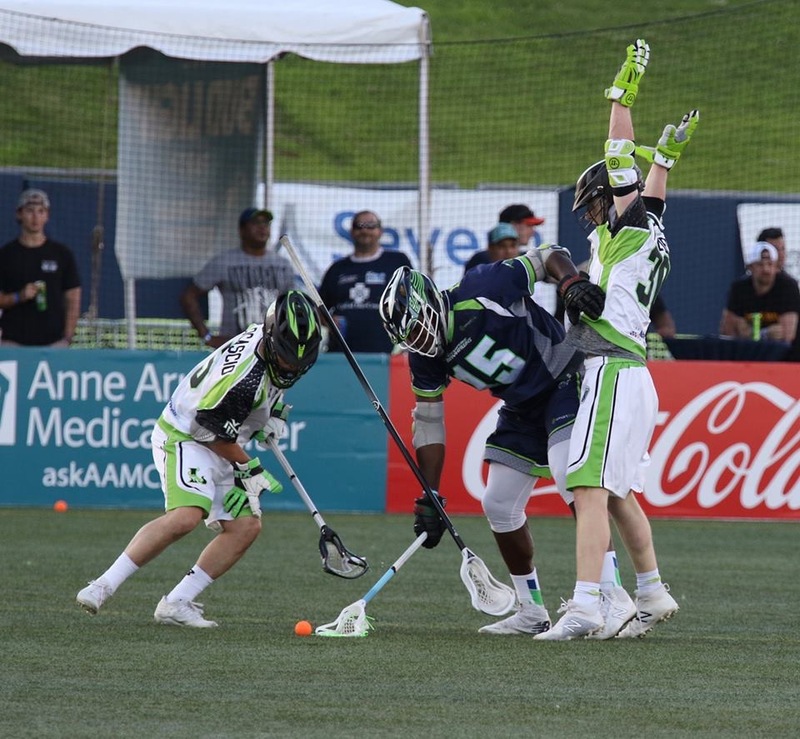 Will Manny scored two of his four just 21 seconds apart to give the Lizards an early one goal lead, but the Bayhawks would go on a five-goal run that would give them an 8-5 lead early in the second quarter. Then it was the Lizards turn by going on their own three \-goal run to tie the game with 7:44 to go in the half. The Bayhawks took an 11-8 lead into the half on the strength of a two-point goal from Sean Mayle and a second goal from Heacock. As the second half started, so did the defense. Chesapeake outscored the Lizards 2-1 in the third as the defense and the goaltending came up huge on both sides. New York came out strong in the final quarter as Rob Pannell collected his second of the game. Manny scored his fourth of the game just 37 seconds after Sieverts scored for the Bayhawks. Steele Stanwick and Nathan Lewnes increased the Bayhawks lead to five with just under five minutes to go in the game, but as we know with the MLL, no lead is a secure one. Rob Pannell and Joe Walters would score to cut the lead to 16-13 with 44 seconds left. The Lizards appeared to get within two with 18 seconds to go, but the goal was waived off as the Lizards stepped offside, turning the ball over to Chesapeake who ran out the remaining time. With the victory the Bayhawks moved within a half-game of first place Dallas, but also moved closer to clinching not only a playoff spot, but a home playoff game. Goalie Niko Amato had another outstanding performance by making 19 saves on the night. Will Manny (4G) and Rob Pannell (3G) led the Lizards offense, while Heacock, Jones and Lewnes all recorded hat tricks for the Bayhawks. The league will get back underway on July 19th when the Lizards face the Boston Cannons in a crucial game for New York. Meanwhile, the Bayhawks will rest until July 21st when the Charlotte Hounds come to play. This will end a four-game home stand for Chesapeake who is 3-0 during the time at home. This will also start a run of three games in seven days for the Bayhawks. After hosting Charlotte, the Bayhawks will travel to Atlanta for a Thursday night game before returning home to face Denver on the 28th.